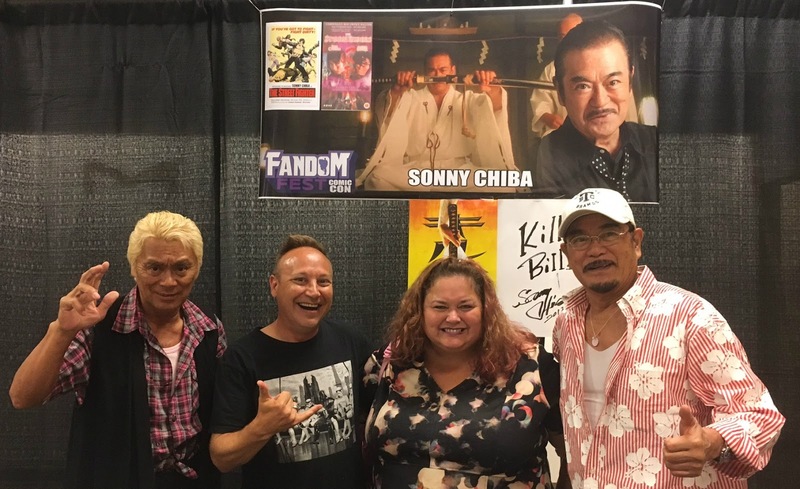 The guests Keith was most excited about seeing at Fandom Fest were Kenji Ohba and Sonny Chiba. We didn't really sit very near them, so it was hard to get their attention or even get a chance to say hi. Finally, on the last day, right before they left, we were able to grab a quick pic. Score! Super cool guys.